International Women’s Day promotes equality between the sexes. Nonsense. Women are clearly superior. 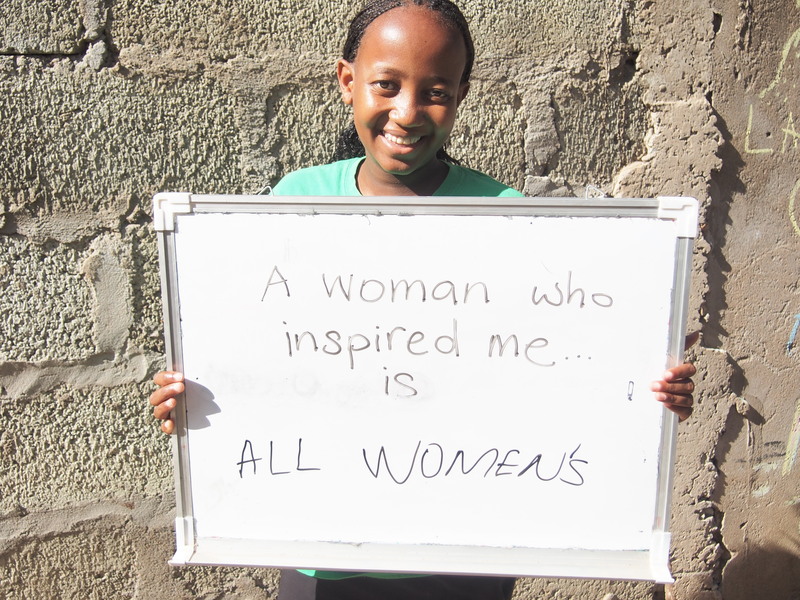 The students at the Umoja Centre celebrated International Women’s Day with activities based around this year’s theme of ‘Inspiring Change’. 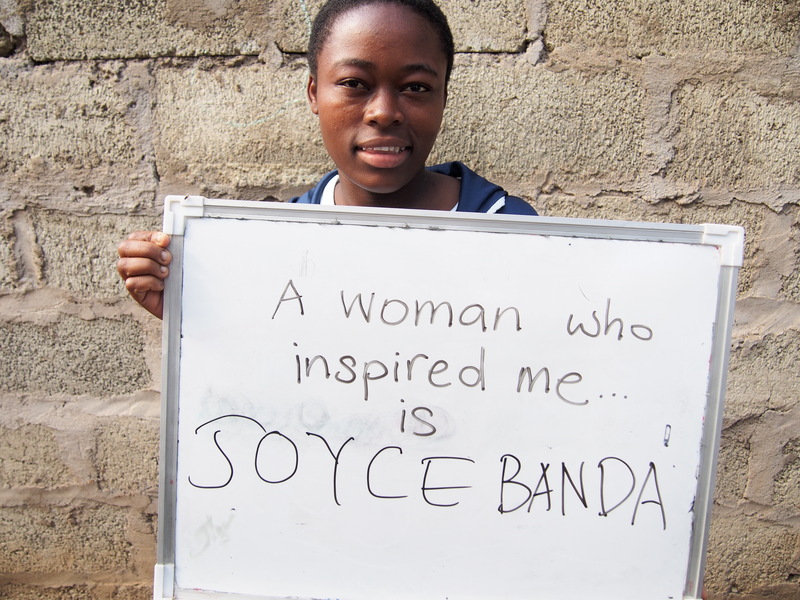 They performed dramas about women’s empowerment that were specific to the Tanzanian context. 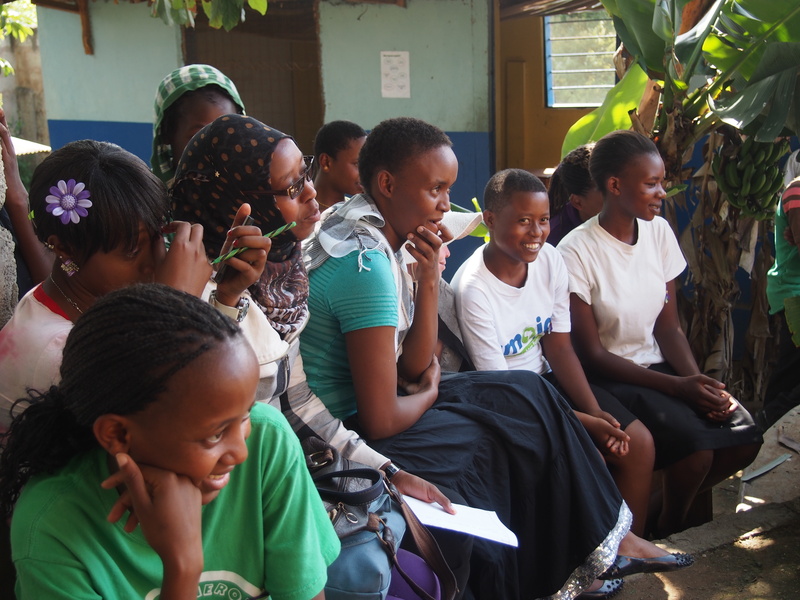 Their plays dealt with domestic violence, and the preferential treatment of boys over girls, especially in regards to education (girls are badly under-represented in secondary education here). 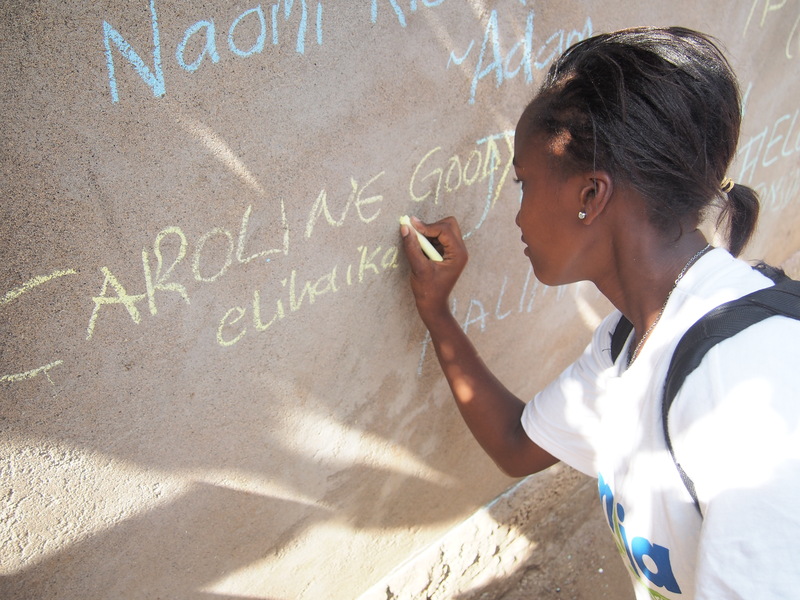 They were then allowed to graffiti the walls with names of women who have inspired them. It was heartening to see both boys and girls participating so enthusiastically in the event. 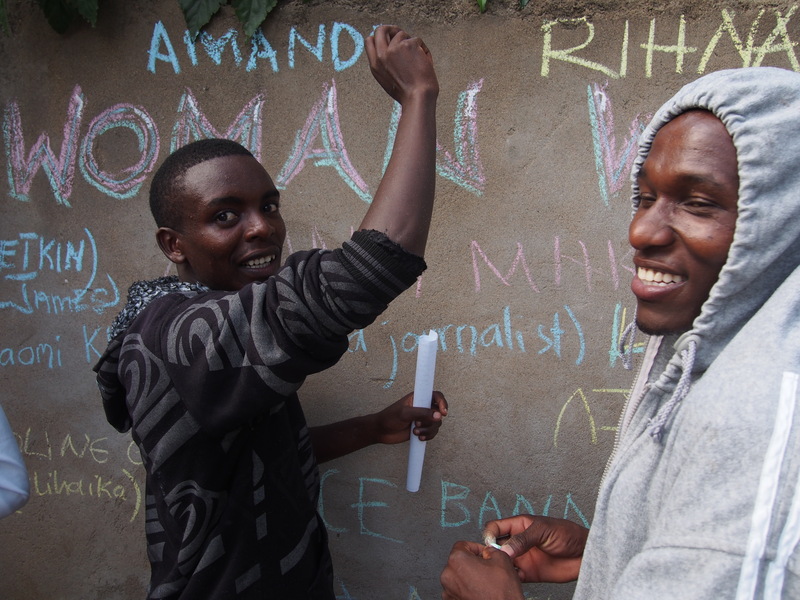 Elihaika adding Caroline Goody – co-founder and director of The Umoja Centre. 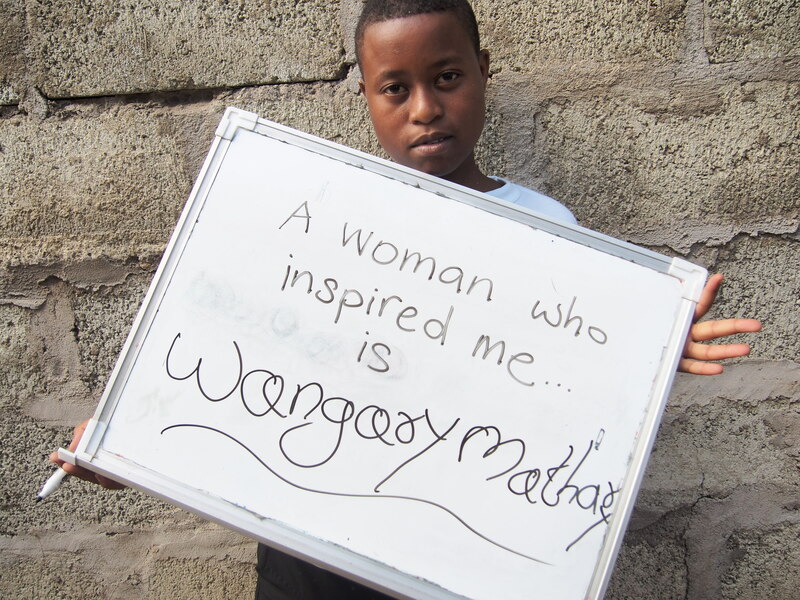 Lightness chose Waangari Maathai – Kenyan politician, environmental activist and winner of a Nobel Peace Prize.